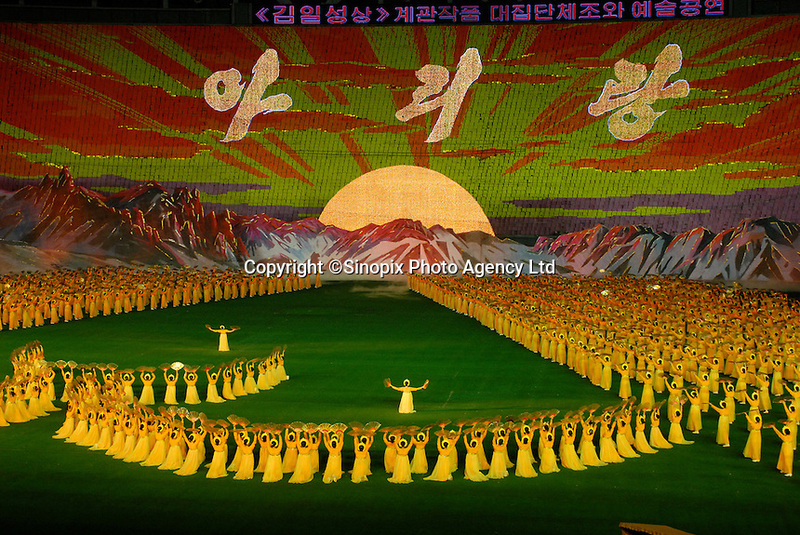 The Arirang Games in PyongYang, North Korea. Over 100,000 perform. The Mass Games are government-organized events glorifying its two leaders of the DPRK (Democratic People's Republic of Korea) "Dear Leader", Kim Jong-il and his father the "Great Leader" Kim II-Sung.